Syria (MNN) – During March 2011, Syria erupted into a civil war still being fought today. In the past seven years, thousands of Syrians have fled their homeland, searching for safety from the violence which threatened their lives. Yet, with a flicker of hope still ignited in their hearts, some Syrians are beginning the journey back into the country. In December 2017, 97 percent of ISIS-controlled territory in Syria and Iraq had been liberated. 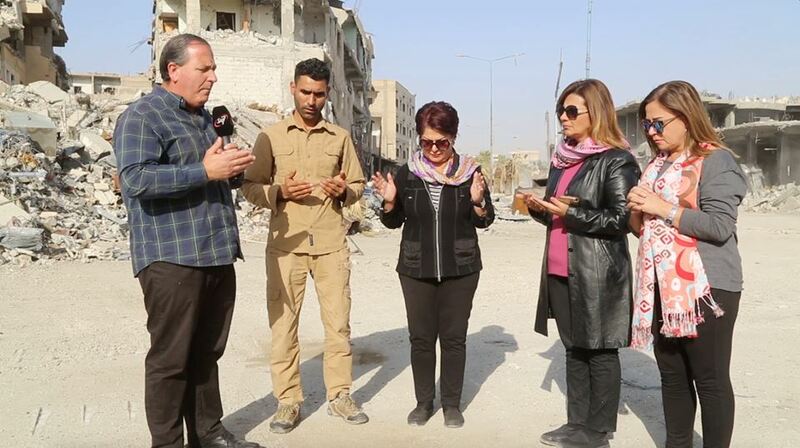 SAT-7—a Christian satellite television ministry to the Middle East and North Africa—was recently in Syria co-producing the documentary, Al Raqqa: between Yesterday and Today, with Light for All Nations (LFAN) Ministries. This documentary features the first on-scene footage since ISIS left. The ultimate goal of this documentary is simple: to show people Syria’s current reality. “There’s enormous work to be one because the infrastructure has been destroyed. You think of plumbing, and electricity, public services have all been destroyed. And so, that whole infrastructure of the community has to be rebuilt, reestablished, reequipped,” SAT-7’s Vice President for Ministry Partnerships Dennis Wiens shares. One might say it’d be easier for the Syrian people to start rebuilding at ground zero rather than trying to revive any life from the destroyed city. An atrophy of buildings line the streets with corpses buried amongst the fragmented bricks. 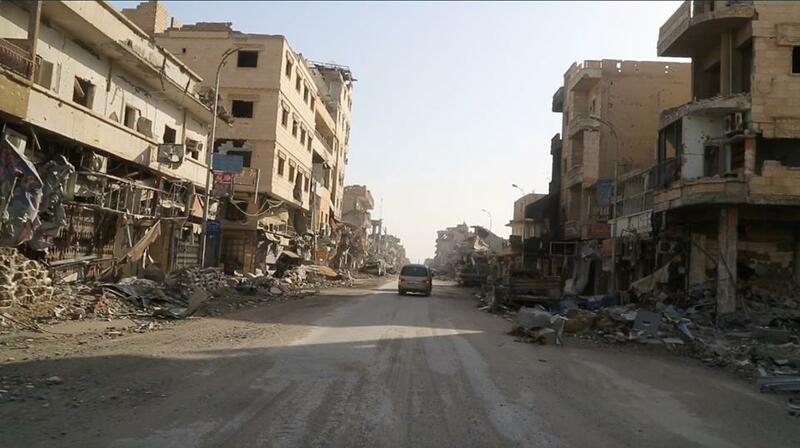 This is present-day Al Raqqa. 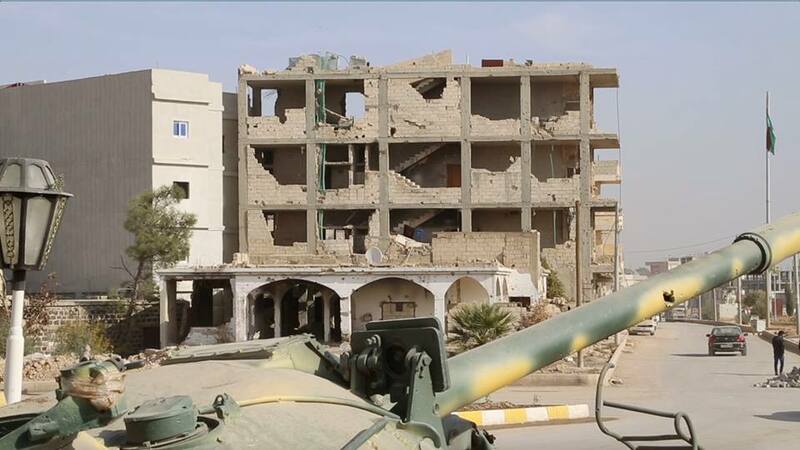 The city is covered in landmines and the haunting echoes of ISIS’ control over it as a stronghold. For two years, Al Raqqa was the main city for human trafficking of Yazidi and Kurdish women and girls and a place for public executions. And so along with the land’s scars come the emotional ones, too. “A lot of people are dealing with post-traumatic stress. They need counseling, they need help processing. You know the help they need is a lot of times [from] professionals [who] are outside [and] who don’t have access to the country,” Wiens explains. SAT-7 provides this content through the lens of a biblical worldview to bring healing not just emotionally, but also spiritually. Through this, SAT-7 shares Christ’s love in word and action. Furthermore, it is currently impossible to block satellite television, which means SAT-7 is available to anyone in the region with access to a TV and satellite. Running these programs costs money and requires other resources, such as people with the knowledge to design, write, and produce these programs and much more. Want to help SAT-7 meet the emotional and spiritual needs of the Syrian people? All it takes is a dollar to provide satellite TV to one person in the MENA region. Finally, please pray for the Syrian people, their healing, and for them to encounter Christ’s love and hope in the midst of tragedy. Pray for the Syrian Church’s perseverance, faith, and emotional recovery. Pray for the leadership as well. Please also pray for continued peace in Syria and the rest of the Middle East. Want more ways to pray? To sign up for prayer requests, click here! Give to SAT-7’s work in Syria here! To watch SAT-7’s co-produced documentary, click here!